A screenwriter turns his wife into the main character of his script. Everything changes when the tragedy becomes a part of the author’s real life. Born in Tashkent in 1987. She studies directing at the Uzbek State Institute of Arts and Culture. 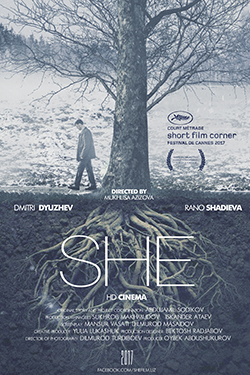 The film “She” is a student work.